Essential oils Shelf Life. | Nascent Naturals Inc.
How long will they last? What is the shelf life? The answer is quite complex so if you are looking for a simple explanation, there isn’t one. It’s like asking what is the shelf life of food and expecting an easy response. Before I get into a more detailed explanation of this subject, I will say that if you ask an essential oil supplier about the shelf life of their essential oils and receive a blanket response of X amount of time for all of them, or they tell you that their oils last longer because they are therapeutic, medicinal grade, wild crafted, certified organic, distilled in state of the art equipment, extracted by monks in sequined magenta robes at full moon or some other irrelevant nonsense, you should walk away as these factors have nothing to do with how long your essential oils will last. 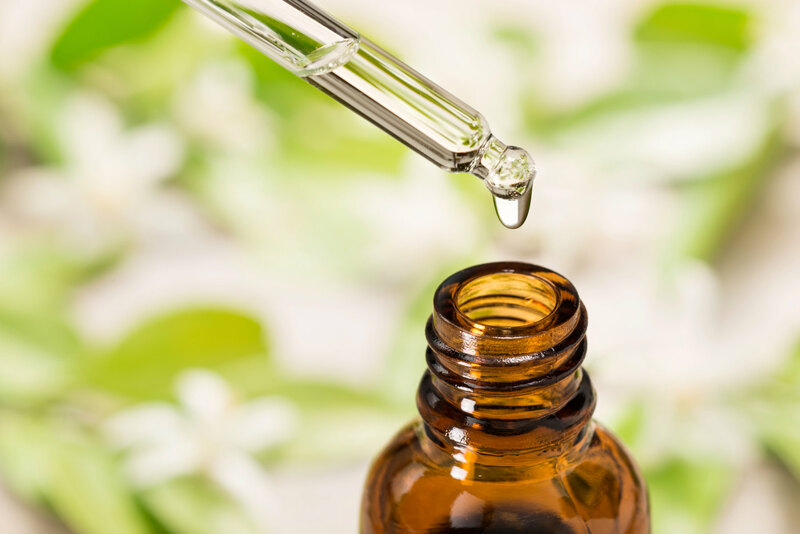 Every essential oil produced regardless of method is a volatile individual mix of naturally occurring chemicals. The unique chemistry of specific oils is what determines basic shelf life while storage and handling play a factor in reaching or extending that projected life. So, if you really want to know the longevity of an oil, you should learn about its chemical composition. Some of the most common chemical groups found in essential oils are terpenes (mono & sesqui) oxides, alcohols, aldehydes, esters and phenols. There are more but these do represent a majority of chemicals identified and good examples to work with. Following is a general guide to volatility of many oils based on chemical composition. Oils which are high in monoterpenes and oxides tend to be the most volatile and susceptible to quick evaporation or oxidization. No coincidence they tend to be the most flammable as well. A good example would be citrus oils extracted via cold pressing from the peel (bergamot, lemon, orange, grapefruit, tangerine). These oils are comprised almost entirely of monoterpenes. Since they are not true essential oils, but rather “essences,” they should be replaced within 1 year regardless of storage since virtually nothing can slow down their relatively quick oxidization rate. Oils which have oxidized monoterpenes should not be used on the skin due to potential irritation. A citrus oil which has been extracted this way which seems to last a long time in a diffuser or is still very fragrant after a few years in the bottle, may not be a true essence, rather an aroma-chemical. Citrus oils which are produced via distillation will have a slightly longer shelf life as this process will remove some volatile monoterpenes and bring forward some aldehydes. These oils will also smell different from the essence. As citrus oils tend to become more expensive in the market, many companies are diluting aroma chemicals with pure oils to extend shelf life and have the aroma last much longer which is not realistic for a pure citrus oil. When citrus oils start to go “off” they will have an obvious unpleasant odour. The next category is alcohols. Oils with significant amounts are peppermint and lemon eucalyptus. These oils may have more life with 1 1/2 – 2 years’ storage. Some lavenders, and petitgrains will have significant alcohols but are balanced with substantial esters thereby extending shelf life up to two years. On to aldehydes, esters phenols and sesquiterpenes. Oils rich in these chemicals will be stable with strong fragrant properties. Oils such as geranium, lemongrass, chamomile, rose, immortelle, clove, frankincense will survive quite well for 2-3 years. Some will improve with age like vetiver, clove or ginger thereby extending life to 5 years or more. Oils which are extracted via solvents, absolutes and resinoids could last 5 years or more as they tend to have low levels of monoterpenes and are sustained by solvents and or fats which are used in the process. Even with this somewhat long winded explanation, I have just skimmed the surface of the shelf life issue. It really does come down to understanding individual oil chemistry. As I mentioned initially, proper storage is also critical. You can have a top quality, certified organic oil but it will mean nothing if care is not taken in storage and handling. As a last thought on the subject, if you have an essential oil which you suspect has gone off, don’t throw it out. It may not be of use therapeutically or have lost its wondrous aroma, but it will still be useful for applications like laundry, cleaning floors, crawling bug repellent or killing off some stubborn weeds. Here is some further reading on the subject which may provide further clarify on the subject. ©Nascent Naturals Inc. 2017 All rights reserved.